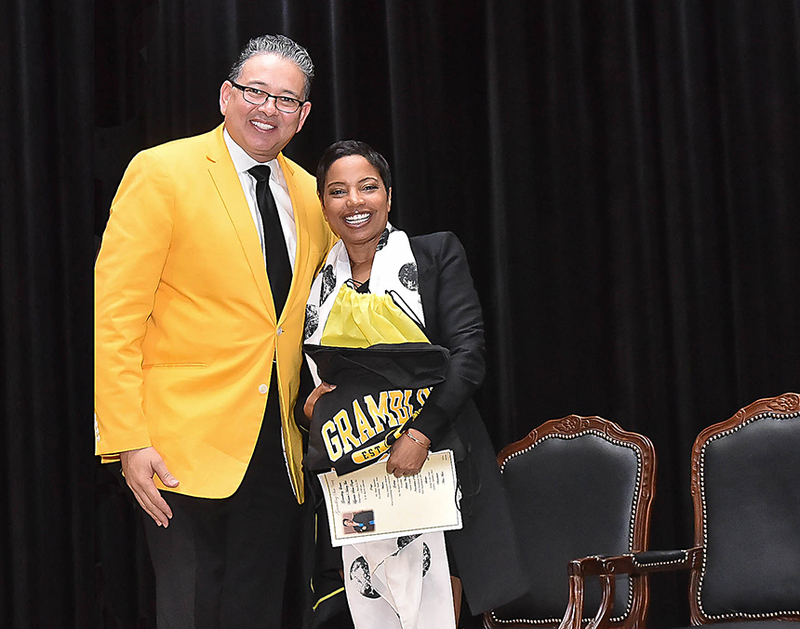 “Thump to your own rhythm,” Judge Lynn Toler advised more than 300 young women during Grambling State University’s 2018 Women’s History Convocation. Toler, a graduate of Harvard and the University of Pennsylvania, while well known for it, is much more than a judge on TV. Toler is the author of “My Mother’s Rules: A Practical Guide to Becoming an Emotional Genius,” and has worked for more than 30 years to help communities, schools, and individuals advance both on and off the screen. Her off-screen work includes serving on the boards and as a volunteer of The National Alliance for the Mentally Ill (NAMI), Cuyahoga County Criminal Justice Services Supervisory Board, Goodwill’s Starting Over Program, and preventing domestic violence through Bloom365.org. To follow more of the GSU conversation with Judge Toler and learn more about historic women from Grambling State, follow hashtag #WomanUpGrambling2018 on Twitter and Facebook. This entry was posted in Uncategorized on March 22, 2018 by Greta Carter.